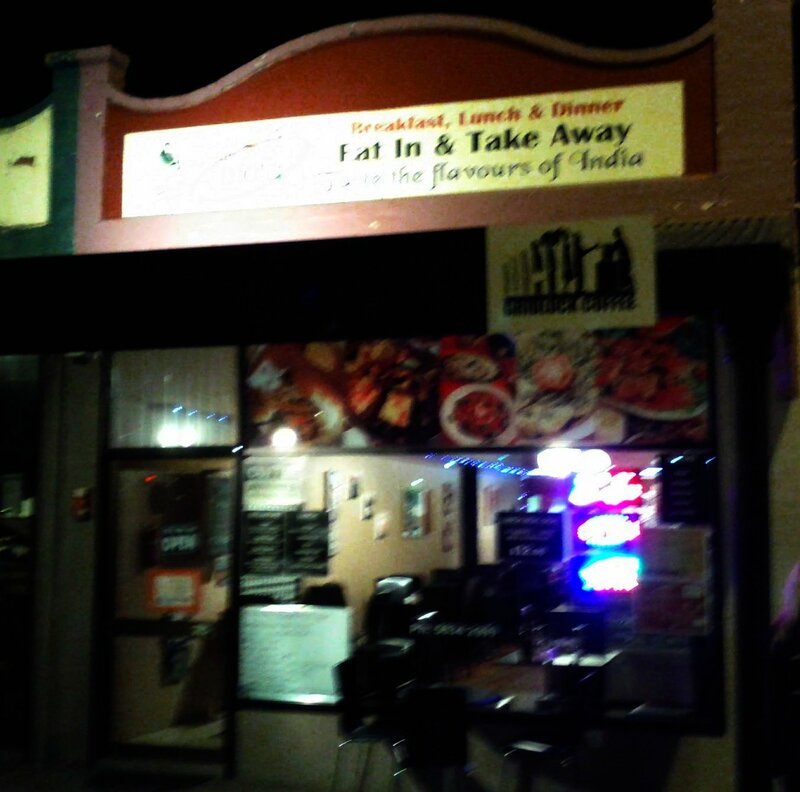 We hadn't spotted Discover India nestled in the shops lining the service road next to the Princes highway in Yarragon, to be fair we are normally cruising past at 80k's an hour... We were debating where to eat in the area and found the restaurant on Urbanspoon, where it had a few positive reviews. Inside the fit out is fairly modern with comfy leather dining chairs. The menu on the wall shows that during day western breakfast and lunch dishes are available, along with coffee, which I guess is a pragmatic decision given the location. 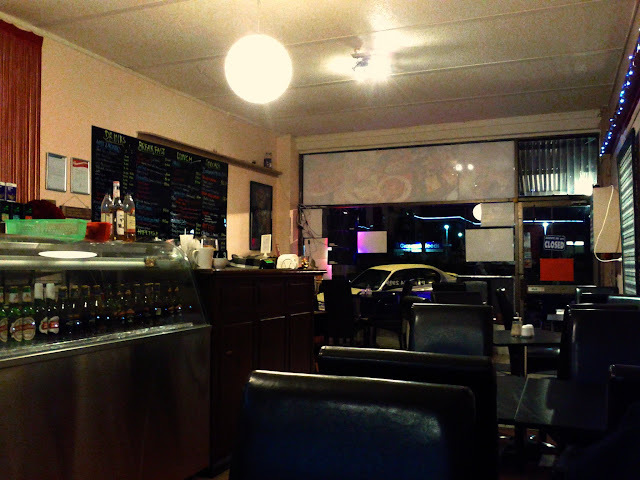 There were a few other tables occupied when we arrived at around 7:30 on a Saturday. 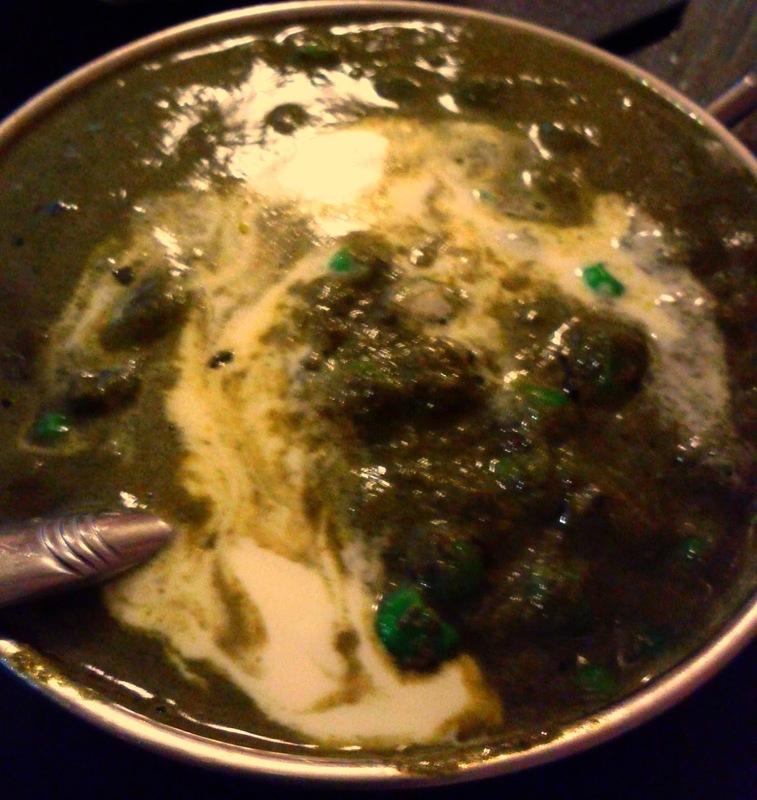 We tried a few dishes, the including a new one to us, the Mutter Spinach, which featured green peas cooked with spinach, spices and herbs. We asked for this at medium spiciness, as by default everything is mild. The combination of ingredients, textures and flavours worked beautifully. 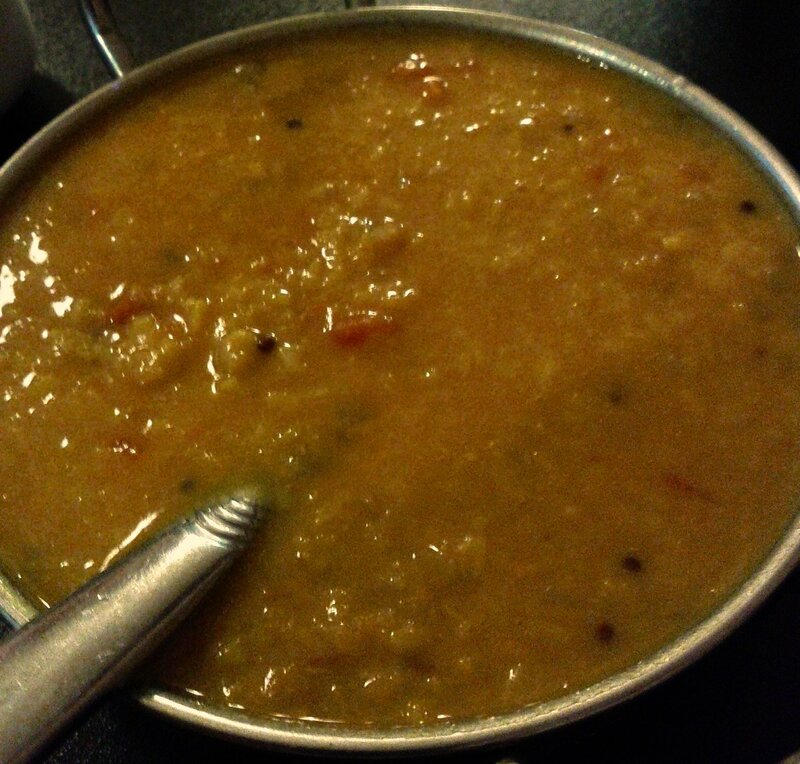 The Dal Tadka, with its yellow lentils seasoned with garlic, green chillies and cumin seeds produced a wonderfully delicate dish. 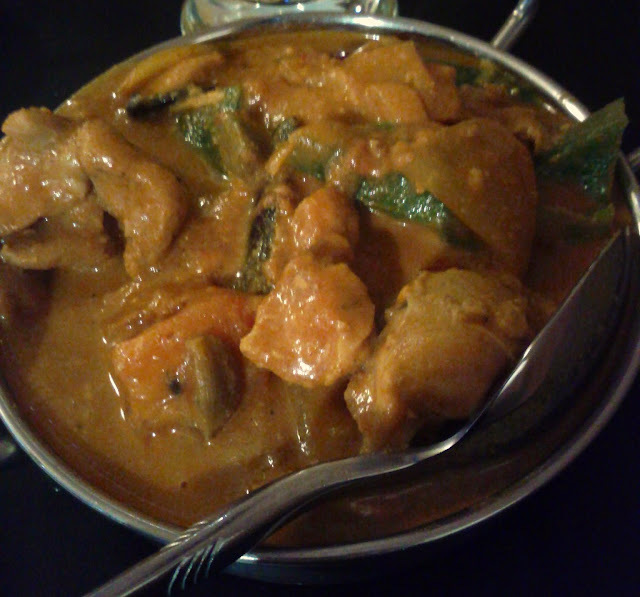 The the boneless chicken in the Jalfrezi was wonderfully tender and was complimented beautifully with the ginger, tomatoes and spice. 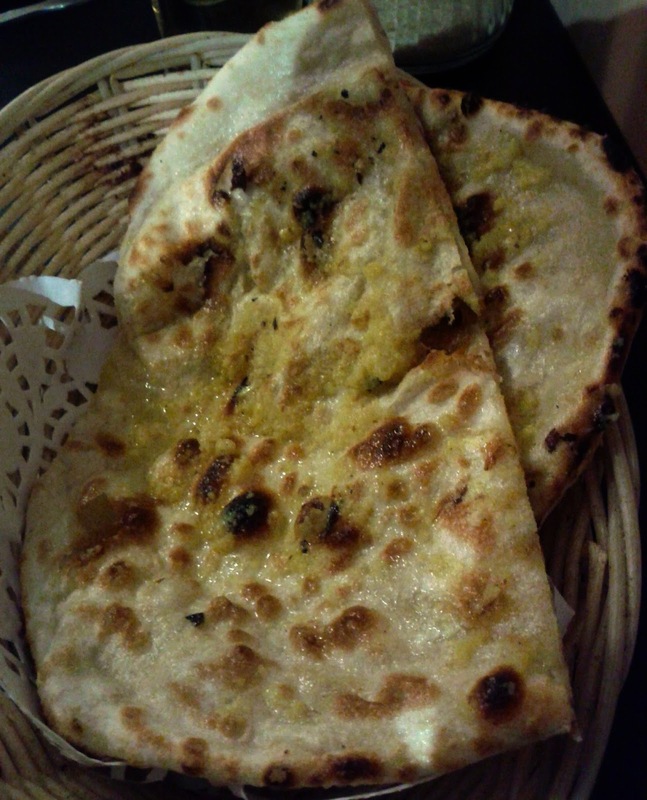 The garlic naan was possibly a bit on the small side but otherwise up to scratch. We chatted to the owner or manager and found out that she previously run restaurants in Footscray and St Kilda, we'd had lunch in the Rajdhani cafe on Barkly street soon after we moved to the area, but it had closed after problems with the landlord, It's now the Yummie Hong Kong Dim Sum. She seemed happy with the new location and with the opportunity to cook different styles of food. The bill came to around $60 including a couple of Kingfishers, great value for such great food, I'm sure we will be back when we are in the area.